Mechanical engineers help develop, build, and improve machines. In this major, you learn how machines work and about the energy needed to make them run. Mechanical Engineers are the people responsible for imagining and building machine tools, manufacturing equipment, vehicles and more. You will learn what makes planes fly and the physics that is involved in roller coasters. This major will allow you to discover the secrets behind mechanical devices. Every school will have different requirements, but some courses you can expect to come across include: circuits and electronics, chemistry, statistics, dynamics, differential equations, thermodynamics, materials science, principle of design, principles of engineering, and fluid mechanics and aerodynamics. If you are creative and like to design and build unique pieces of machinery this will be a great major for you. You must be willing to think outside the box while being precise and having attention to detail. This will help when you start to make new discoveries as you address complex problems. You will rely heavily on your math skills and apply these advanced topics of mathematics to help analyze and design your work. Students will spend a good deal of time working on group projects, studying in the library or writing up lab reports and research papers. Most schools will require you work a co-op, so it may take you five years as undergraduate student to graduate instead of typical four years. This so you can learn the mechanical skills necessary to join the workforce and tackle real world problems. 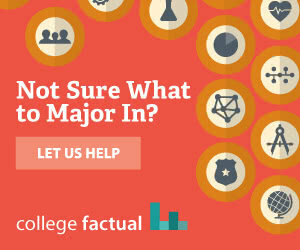 This major will allow you to work in broad variety of fields. You could work with many diverse employers from NASA to large power plants to the biomedical field to environmental control to transportation. You could design tiny measuring instruments, large aircraft carriers or power plants. Job growth in this area is slower than average when compared to all careers through 2020. However, each industry will have different growth opportunities. It will be easier for you to obtain a job if you have experience with new software and recent technology. Graduates with a degree in mechanical engineering average $57,795 as a starting salary with a mid-career salary of $96,360. Here is a small sample of the careers that a degree in Mechanical Engineering might open up.